You are welcome to join us in our Mission. 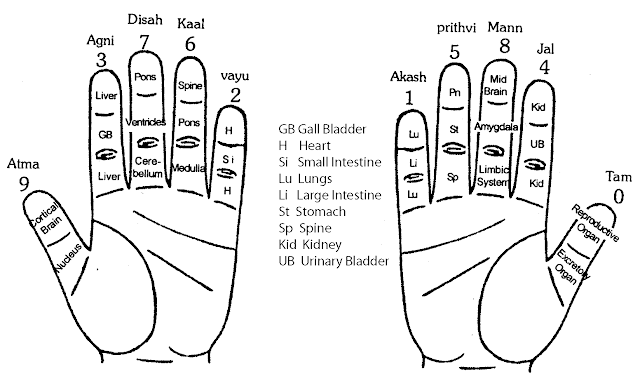 The origin of Art of Self-Healing lies in the natural acts of human when they relieve their pains anywhere in their body by treating on the corresponding pain point on hand. Wow the relief is obtained in less than two minutes. The medicines are avoided as far as possible so that treatment is available to poorest of poor. More details are given through our videos uploaded on YouTube and our website. A couple is medically fit to conceive but the conception is not taking place. Please carryout treatment as given here under. After conception has taken place she is not well. You will be happy to know that according to our ancient science there is a simple treatment for conception and having a normal delivery. 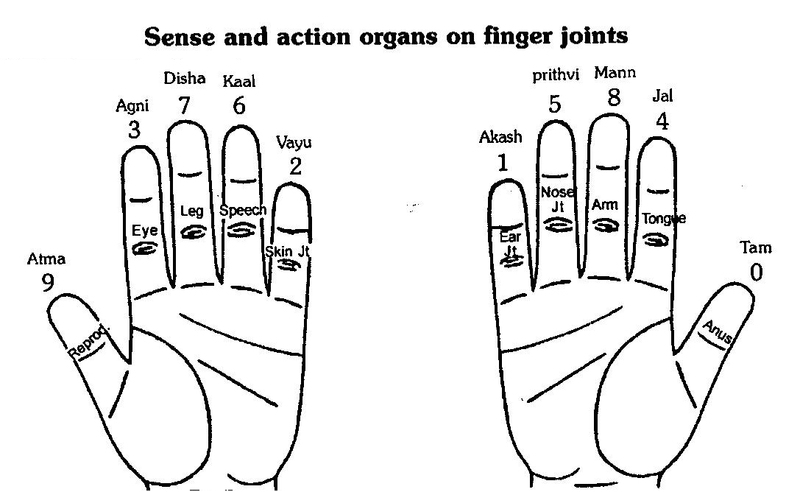 The figure given below shows how joints of our fingers and toes on hands or feet are representing/functioning as our organs and endocrines joint. Treatment on these by twisting, as shown in fig.2, can make a person healthy. Thereafter one has to simply paste fenugreek (methi) seeds or chick peas (watana / matar) with micro surgical tape (Paper Tape) for about 12 hours on the area treated. 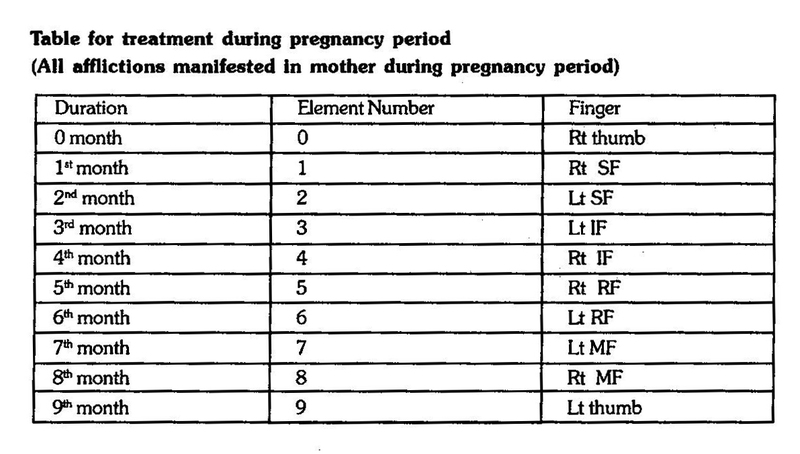 The table given below shows the finger number related to the different month of pregnancy. During the period of pregnancy the finger of related month is twisted and effective treatment can be done. 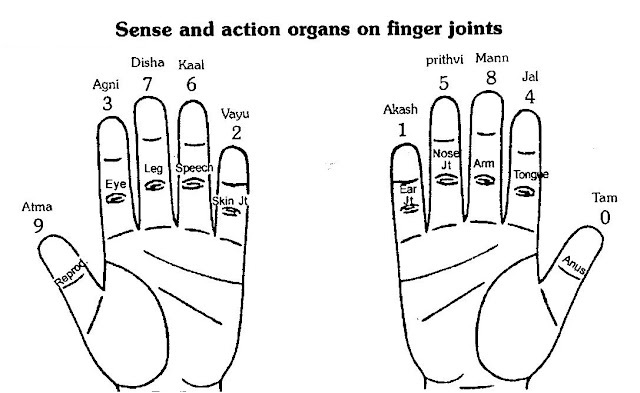 For example during conception period, if there is any problem then the related finger no. 0 i.e. right thumb is twisted for conception to take place. If after conception any problem in 1st month like vomiting, vertigo, nausea etc. appear, then finger no. 1 i.e. right small finger related to 1st month is twisted 8 – 19 times for two to three times in a day and highly effective treatment can be given. 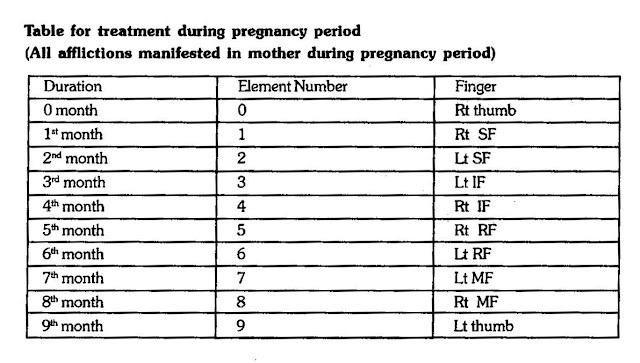 Similarly in the 9th month for normal delivery the finger no. '9' i.e. the left thumb is treated by twisting. Many successful results have been obtained by this treatment. This does not involve any expense or fear or side effect.